Like many manufacturers, your shop floor operations may be challenged with inefficient standard processes, unpredictable downtime, and difficulties with machinery maintenance. A manufacturing execution system (MES) can help make the most of your shop floor’s capabilities with tools that can identify under-performing and high-performance machines and then optimize asset utilization accordingly. Engineers can design, refine, and implement better work processes, and operations professionals can improve preventive maintenance and response times. The result is less downtime, less scrap, more productivity, and lower cost. With the real-time information of an Epicor Mattec MES, you can transform the shop floor into an important contributor that drives the strategic direction of your business, differentiates your brand, and positions your company as a market leader. Epicor Mattec MES has many compelling attributes to help differentiate your company from the competition. 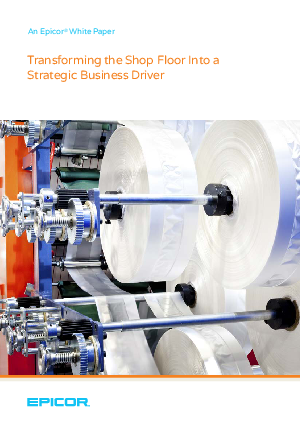 It can offer a quick, hassle-free way to turn shop floor operations into a strategic business driver for your organization. Download the white paper to learn more.